Master Control is album #3 from these East Coast maniacs. Enter new singer  - now popular Joe Comeau of Annihilator fame - , but in those days I guess he was the new guy. Well, a change in the singer is not all funny, before their music was quite Iron Maiden-like, this time the singer is very Dickinson-like, but the music is not! A total change in the songwriting - more modern for the time more aggressive, gone are the majestic tales of yore instead are more songs about concerns for the future and backstabbers and so. I like this album a lot, it is a breakthrough for the time, check out the groove in the second song Eye Of The Storm and see where many of todays bands got the 'breakdown' type groove part. Generally the music is more of a less thrashy Overkill-influence, Metal Church-Blessing and a good wallop of Judas Priest. Definatley another solid, well executed opus but not as a favourite album, as much as I do like it I still rather their earlier albums. What a devastating follow up!!!! 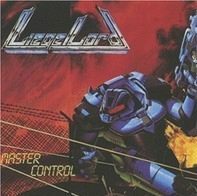 Their Metal Blade debut album and what winner it is. 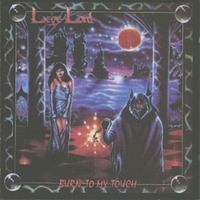 It's breath-taking majestic and crushing metal second to none on the label at that time except maybe for Omen and Tyrant and of course Fates Warning, in fact the art on the album is similiar to Fates Warning's Awaken The Guardian. I think this album also saw them touring the States with Manilla Road. But back to the album, opening up with a ripper Transgressor while soaring vocals and mystifying melodies are abound on tracks like the killer Birds Of Prey and Maniacs Mask. This record is chock-full of metal gems, of course heavily inspired by Iron Maiden, in many ways they still manage to hold their own and the songs just give you that lump in the throat goosebumps that only true metal can cause - mandatory!!!! Starting up with a brief Iron Maiden-esque instrumental called Prodigy the intense fist pounding galloping metal begins! 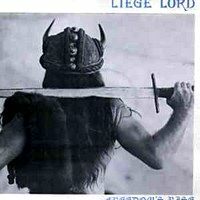 This band at this time 1983/84 was heavier than many of their peers including bands as Armored Saint and Cirith Ungol at that time, instead leaning in a definite powerful mode and harkening to such albums as Anthrax' Fistful Of Metal and Jag Panzer's EP and Ample Destruction LP. Throughout this album there are many Iron Maiden influences and the vocals are King Diamond-like high in some parts. Keep in mind the high vocals are not used as a primary vocal, but are used atmospherically and in that way are quite effective in the delivery of these awesome metal anthems. Monster tracks as Darktale, Rage Of Angels and Vials Of Wrath. True US metal to the max - Sterling Steel - defining the 'galloping' metal sound. Everything here is well played the voice is killer and if you like true metal as much as I do then this must be one of your favourite classics. If you do not have this, seek it and your life will change!